We are proud to present our sponsor, the Lion Brand Yarn Studio, which incidentally is only a few blocks away from Slate the site of this year's Spring Handmade Cavalcade. With right, the Studio is proud of the strong educational component of its offerings. Recently they shared with us just a few of their many classes available. Are you a beginner who has been yearning to learn to knit or crochet or pick it up again after years away? 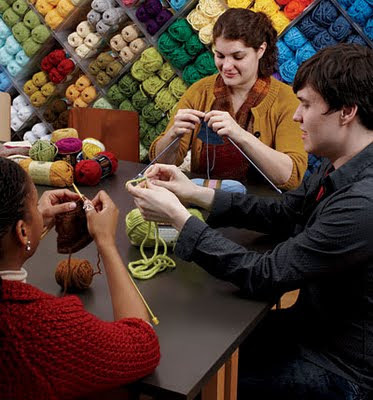 Located at the Lion Brand Yarn Studio classrooms at 34 West 15th Street in Manhattan, our Beginning Knitting and Beginning Crochet courses help you to build a reliable foundation of skills. We know how daunting a project can seem when you’re looping your first slipknot onto a hook or needle, so we make sure you get personalized attention by limiting these classes to 8 people. In fact, in Beginning Knitting: The Complete Course, your skill level can go from absolute beginner to confident knitter in only 6 weeks! If you’ve got the basics down but want to go beyond the scarf, we have several options. Make an adorable, flattering summer cover-up in My First Cardigan. Master the elusive turned heel in one of our three different sock classes—for knit and crochet. Drop into Patty’s Sweater School for Knitters whenever you need the help; she can even teach you how to design your own sweater! We also offer classes in yarn working skills such as dyeing and loom weaving. We’re there for you as you grow your skills, taking you step-by-step from the basics to advanced techniques. Often, our students surprise themselves at just how quickly they learn. 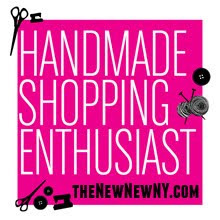 In our Master Classes, you will be up close and personal with knit and crochet celebrity designers. Each Master Class is taught by a top innovator working in yarncrafting today. Often, designers and fiber artists will speak about their work at our RSVP-only events, only to teach a class a few days later. For more personalized, one-on-one attention, we also offer private lessons for $40 per hour, and duet lessons, perfect for a parent and child or for two friends, for only $60 an hour. Best yet, enrollment in a class gets you 10% off our already famously affordable selection of yarn. And as our graduation gift to you, you get an additional 10% off when you complete the class—so you can keep on stitching! Go ahead and browse the extensive selection in our May class schedule—you’re sure to find the perfect fit. A new class schedule is posted on the 1st of every month, so be sure to check back for updates! Open Monday - Wednesday 11:30am-7pm, Thursday 11:30am-8pm, Friday 11:30am-5pm, and Sunday 11:30 am-5pm. Closed Saturdays. Love Lion Brand! They have the BEST window displays too. Do you allow children in your beginner classes?